When it comes time to research food packaging options, most food operators take the path most traveled and end up at the foam hinged door. 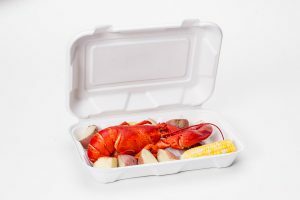 True, foam hinged to-go packaging has many great qualities such as multiple configurations, decoration options, excellent thermal properties and of course, very economical. But I would like to submit for your consideration the option of a two piece, black and clear package. There are some advantages this type of food packaging can bring to the table. Food visualization – With our crystal clear, anti-fog lids, customers can see exactly what they are getting. Food operators make a living offering great tasting food with a top-notch visual presentation. 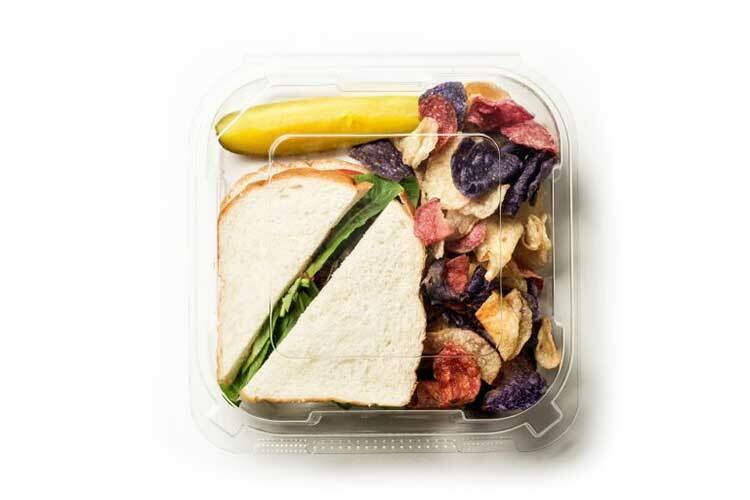 Why hide that great looking food you worked hard to prepare? Show it off at its best. Your customers will appreciate it! 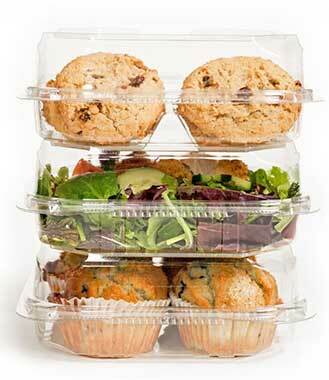 Home style dinning – Eating out of our two-piece to-go packaging is just like eating off of a regular dinner plate. Consumers can simply remove the lid and eat right out of these stylish containers without the need to dirty their own dishes. Sometimes eating from a hinged container is difficult, especially if there is limited room at your table. 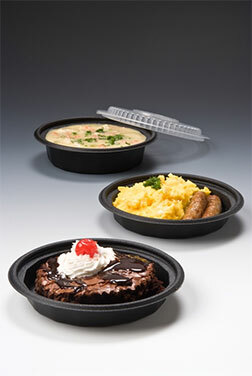 Upscale look – Our Smart Set black, two-piece food packaging really looks sharp. Their unique designs offer a look and presentation that resonates with consumers as something apart from the everyday crowd. Decoration – We can still emboss your brand name right on our clear lids. What better way to further your brand image and remind the consumer where that great food came from. I know what you are thinking. This is going to cost way more than foam hinged packaging. Yes, normally with some 2-pc packaging they can be quite a bit more expensive. But at Genpak we have made ours extremely economical by using a foam laminated base along with the clear PET lid. Other 2-pc packaging uses solid polypro or PET bases, but we find you can have the best of both worlds with our packaging…a very nice, upscale package at a not so upscale price. 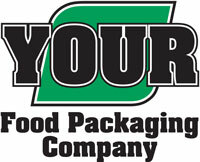 Drop us a line to learn more about these great to-go or dine-in packaging solutions.